The commercial interest in single walled carbon nanotubes (SWCNT) is rapidly increasing due to their superior mechanical, electric and thermal properties. With the development of mass production and handling facilities for SWCNT, it is critical to fully understand the risk associated with exposure since it is likely that increasing human exposure will occur. Moreover, it would be highly desirable to identify specific biomarkers of SWCNT exposure in order to identify individuals who are exposed occupationally or consumers who become exposed to products containing SWCNT. Individual SWCNT are less than 2 nm in diameter and form fibrous ropes that range up to several microns in length. Ropes of SWCNT further aggregate by means of electrostatic charge to form larger, micron-sized agglomerates. 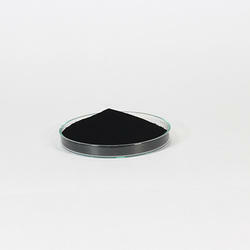 We are the renowned manufacturer and supplier of premium quality range of Single Walled Carbon Nanotubes. The offered product range is processed using premium quality chemicals and sophisticated technology at vendor's end. Further, these products are packed with high precision in order to meet international quality standards. Moreover, we are offering our range at industry leading prices. Quality Control Each lot of Electrical Conductivity Carbon Nanotubes (SWCNTs) was tested successfully. 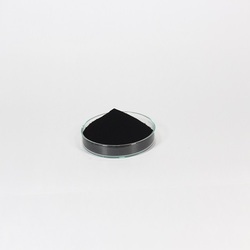 We offer high quality Single Wall carbon nanotubes to our customers. 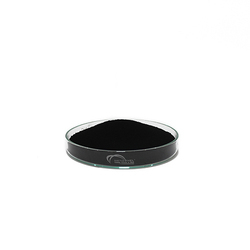 These products are widely used in manufacturing of a mass of rather unorganized fragments of nanotubes. 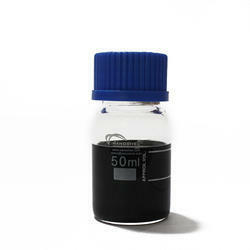 The offered products are formulated from high quality nanotubes, procured from well known vendors. In addition to this, these products can be used for controlling nanoscale structures. With the help of our wide distribution network, we have been able to offer these products in stipulated time frame. This material ships as Liquid Dispersion. Each grade contains particles with an average thickness and surface area. All dimensions represent median sizes and there is a distribution around the mean. MWCNT Water Dispersions by Nanoshel. We are highly engaged in offering superior quality Single Walled Carbon Nano Tubes. This product is processed with the help of finest quality chemical compound and sophisticated technology in compliance to set industrial norms. This product is stringently tested by our quality controllers on various quality parameters at our hi-tech quality testing labs. Clients can avail this product from us in various specifications as per their needs. Clients can avail the offered range of Single Walled Carbon Nano Tubes from us. This product is formulated with the help of premium quality chemical compound and sophisticated technology in compliance to set company norms. The offered product is sternly monitored on various parameters to ensure its quality. Clients can avail this cleaner from us in various packaging options as per their requirements. We are one of the leading manufacturer and supplier of world class Single Walled Carbon Nano Powder (Amine Surface Modified) that is demanded for its quality and purity. The offered products are processed using high quality chemicals and other required chemical compounds as per set industry norms at vendor's end. These products are examined by our quality controllers on various pre-defined parameters before dispatch to our clients. Moreover, clients can avail our products at rock bottom prices. 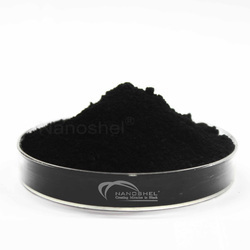 Clients can avail the offered range of Single Walled Carbon Nano Powder from us. This product is formulated with the help of premium quality chemical compound and sophisticated technology in compliance to set company norms. The offered product is sternly monitored on various parameters to ensure its quality. Clients can avail this cleaner from us in various packaging options as per their requirements. Looking for Single Walled Carbon Nano Tubes ?